The dissolution of the State Assembly has necessitated holding of Assembly elections in the State within six months. 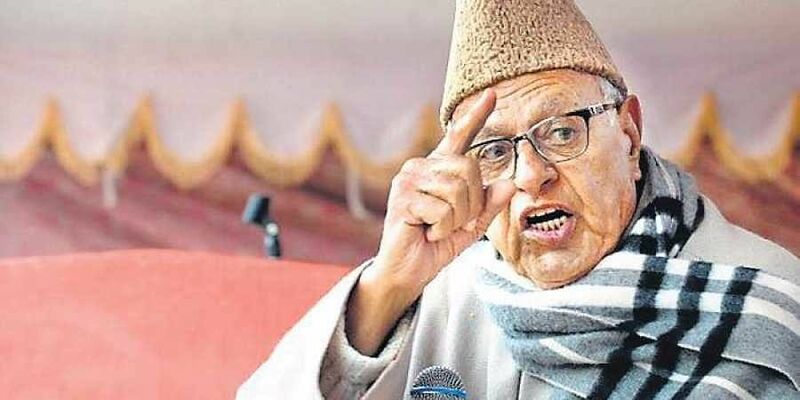 SRINAGAR: The National Conference (NC) president and three-time Jammu and Kashmir Chief Minister Farooq Abdullah on Friday ruled out forging an alliance with any political party during the forthcoming Assembly elections in the State, which has been necessitated after the dissolution of the State Assembly by Governor last month. "NC will not forge any alliance with any political party in the forthcoming Assembly elections in the State. We will go it alone in the polls," Abdullah told reporters on sidelines of a function in Jammu today. His statement has put an end to speculation that three major parties of J&K - National Conference, Congress and PDP - may jointly contest Assembly elections against BJP and its ally Sajjad Lone's Peoples Conference. The NC, PDP and Congress had last month formed "Grand Alliance" to form the government in the State. The PDP chief Mehbooba Mufti had on November 21 staked claim on government formation with the support of NC and Congress. However, the State Governor Satya Pal Malik dissolved the Assembly on November 21 after receiving two separate letters - one from Mehbooba and another from BJP ally Sajjad Lone - on staking claim on government formation. The dissolution of the State Assembly has necessitated holding of Assembly elections in the State within six months. Abdullah, who is MP Srinagar, said NC would be able to form the government on its own in the State. "We are confident of receiving a massive mandate from the people, who have realized the crucial need of strong and stable government in the state to meet various challenges confronted to it," he said. The NC president said the government on crutches cannot deliver, which has been proven many times. He said if voted to power, his party's government would grant regional autonomy to various regions of the State. "We have already formulated a blueprint in this regard," he added.